Mical Rhebess and Pevanu joined forces in the magical summer of 2007. DDS was giving memorable partys at the IJssel and this is where the two musical minds met. 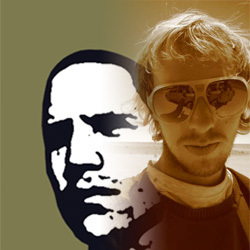 Peter is known for his houzey input and respected remixes. An artist who plays very limited, he rather creates than performs. Mical on the other hand plays house in long dj sets all over the world and in the future you can expect him preforming live as well. Based in the west of Europe and the east of Holland. First release was on Quagmire03.